After two years in this healthy, efficient custom home, the owners have not had a single energy bill. 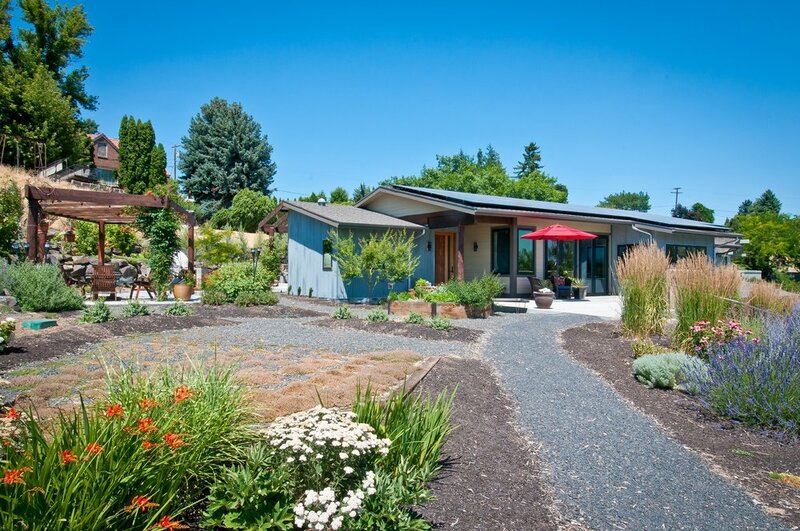 Using passive solar site orientation, geothermal heating and cooling, and an ample solar panel array, this custom home was designed to give back to the grid. The owners report that the indoor temperature is comfortable year-round. In addition to thermal comfort, the home was designed to feel warm and cozy even though the finishes were selected for their resiliency and non-toxicity. Clay plaster walls and stained concrete floors provide an interior envelope that keeps the house temperate. Cork flooring creates softness underfoot in the kitchen and dining areas, and porcelain tile is featured in the showers. Reclaimed wood from a local deconstructed apple shed adds interest in key locations. 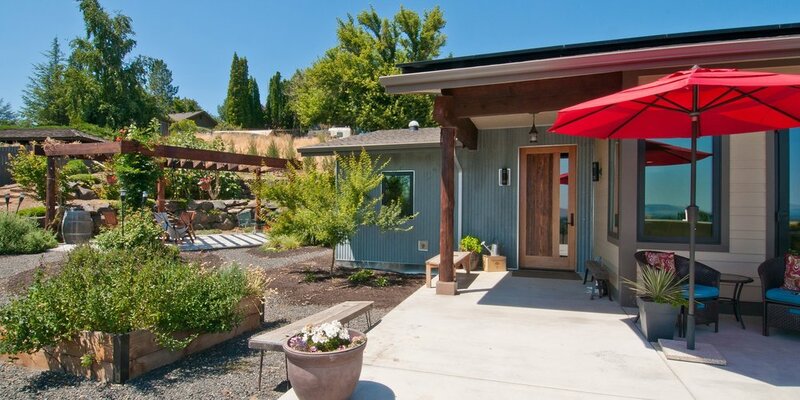 Reclaimed corrugated metal roofing from the building was used as accent siding on the exterior, along with natural lime stucco and cement board lap siding. For future health considerations, the main level is fully wheelchair accessible, and everything is ready for an elevator to provide easy transport from the lower level garage and shop.